Centrally located building that is currently laid out in two x two-bedroom flats which are Pre '63 with a bedsit on the top floor. 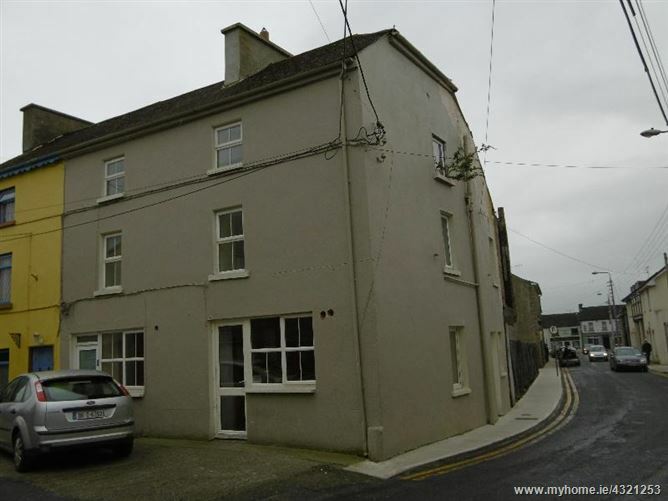 The building is located in Croke Street, Thurles, within walking distance of the town centre and would suit someone looking for an investment property. The property requires modernisation and redecoration and its' competitive AMV reflects same. Early viewing is recommended. Fitted units at eye and floor level. Tiled floor. Door to rear yard. W.c., w.h.b., shower. Tiled floor. Fitted units at eye and floor level. Plumbed for washing machine.